The ultimate Chatuchak shopping guide - conquer the weekend market in 5 hours with your BFFs! 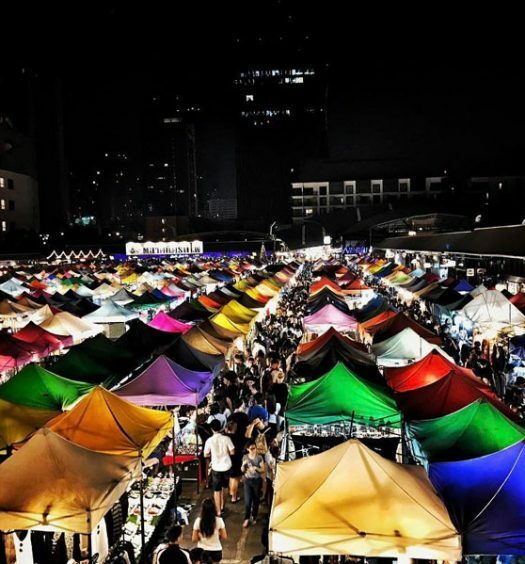 The ultimate Chatuchak shopping guide – conquer the weekend market in 5 hours with your BFFs! Thailand » Bangkok » The ultimate Chatuchak shopping guide – conquer the weekend market in 5 hours with your BFFs! Let’s be honest – how many of us come (and return) to Bangkok mainly for its shopping and food? If this is indeed why you choose Bangkok, your trip would never be complete without the mandatory visit to Chatuchak market! In fact, Chatuchak isn’t just a market – it’s an experience. It’s energetic, fun, crazy, and a place where you can find anything and everything. As all the sights and sounds indulge your senses at the same time, it may be a little too overwhelming for first timers, especially since it’s almost the size of 88 football fields. And you seriously do not want to be lost in the maze and end up walking in circles. What’s more, you may notice that some stalls sell almost the same thing – and they can be located at different ends of the market! Before you tear your hair out reading this, here’s some good news for you – in this guide, we’ll bring you through all the various categories you can find in Chatuchak and which sections they are in, along with practical tips along the way, so you can enter the market prepared and emerge fruitful! There’s also a market on Friday nights, but it’s mostly catered for local pub goers instead of die-hard shopaholics. Guess it’s easier to answer what you can’t find at Chatuchak. It’s a riot of everything you’ll ever need (and don’t need)! From high street fashion, quirky Thai designer boutiques, world class (and cheap) leather goods and denim, and even the cutest pet accessories! From the map below, you have an idea of how confusing navigating the entire market can be, despite being divided into sections! So we’ve done the hunt and classified what you can find here into various categories, and the sections in which you can find them. Though truth be told, certain items are just EVERYWHERE, in almost every section, such as ladies’ clothes and soaps. So our advice is this – unless you have the entire weekend to spare, have an idea of what you want to look out for first, and start with these categories. You’ll likely make some unexpected discoveries along the way too. Trust us, it’s better this way! Editor’s Note: The sections under the different categories mentioned below are just a guide, and are not limited to what we have listed, as every section includes a variety of stalls selling different products. Thus, you may very likely find similar items in other sections as well, though we have done our best to list down as accurately as possible where various types of items can be found! Want to find the hippest and trendiest clothes and accessories in Chatuchak? If you only have one stop to choose, zoom directly to Sections 2, 3 and 4. This area is the place to check out – Chatuchak’s very own high street, a popular haunt for young 20 somethings. It even looks and feels more happening than the rest of the market area, though it can be more expensive. If there is a specific item in trend you are looking for, or just want to get updated on what’s in, here’s where you can find it. Need some unique jewellery and accessories to mix and match with your personality? How about a flamingo necklace? Or earrings adorned with amethyst, turquoise, and other precious rocks? For the mermaids, don’t these pretty phone covers and clutches just tug at your heartstrings? Or are you a photographer? Check out this funky “Crazy Cam” store that sells the coolest accessories to perk up your camera gear! Looking for some runway-ready fashionable clothes and accessories? Zoning down to a few sections for clothes is the trickiest – there are way too many shops selling fashionable stuff (especially if you are looking for girly things and pretty jewellery)! For a start, young ladies, you will love the lace handbags at Section 14 – such a steal at only 60 baht to 100 baht! And calling all Singaporean and Malaysian ladies, you must have heard of the BKK Original Shop (yes, that’s where your friend’s sister’s friend bought most of her Bangkok loot!) and you can find it Section 5. 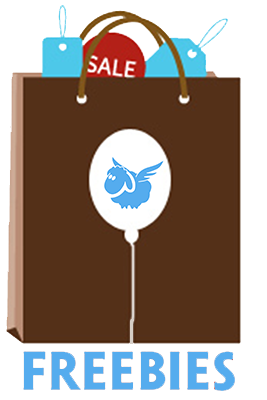 These bags are of great quality and very affordable – it’s no wonder all your friends who have been here rave about them (and are begging you to help them buy more!). You can also find some pretty jackets and vintage jewellery here. Chatuchak is the perfect place to replenish your jewellery box with the most unique pieces. We can never get over these lovely handmade ornaments crafted to perfection by local designers. Just look at this handmade butterfly earrings from Section 7! Or even these artificial flower garlands at Section 11 – don’t they make you feel like a Hawaiian princess? If you are into Bohemian fashion, Sections 6 and 24 are the areas to head to – there’s so many Boho dresses to choose from! For all you bolds and beautifuls out there – Sections 6, 12, and 18 are your go-to stops for gorgeous swimwear, bikini and bras. No worries if your kids are tagging along – they will be happily distracted by the children’s fashion collection in these exact sections. Not to mention every little girl needs her Disney Princess dress and here’s where you can find it! Up for something funky? Check out these paper-bag inspired backpacks at Sections 7 and 16. Or hunt for unique local designer fashion at Section 18 – a rare find in the market! Your younger sisters will love these colourfully beaded shoes! If you have guy friends tagging along, you need to bring them to Section 22, where the men’s fashion is totally adorbs! You now know where to shop and leave looking like the next K-pop idol! If you have always been a leather lover who is constantly bummed how good quality leather is so heavy on your pockets – you seriously NEED to go to these sections at Chatuchak, where you can get them at very reasonable prices. Don’t miss this shop (Vikrom) at Chatuchak Plaza where you can have your leather products hand-made to perfection by the owner – something that any true blue leather lover will love and appreciate. You can also grab some great denim wear, military fashion, and even second-hand branded products at throwaway prices (though you need to check how authentic they are) to get the street-style look going! If you are looking for pre-loved sneakers or sports shoes, head directly to Section 5! We also noticed some amazing wallets and purses in the area near Section 1, that can give big brand names a run for their money in terms of durability. What do you need to give your home a happy makeover? …. to pint-sized gorgeous crystal table tops (Chatuchak Plaza and Section 24), you’ll be spoilt for choice, especially if you’re furnishing your new home or renovating your current place! If you are aiming to try the Hygge lifestyle trend for your home, these simple rustic wooden decor pieces at Section 4 are just perfect. And how can you not adorn your living room with these pretty fairy lights from Chatuchak Plaza that are all the rage right now? Perhaps these mini lamps at Section 17 could give you some inspiration too! Or how about these pretty colourful lights you can decorate your windows with? …. before going gaga at these timeless handmade clocks beautifully and artistically decorated with shells and preserved flowers at Section 15. Vintage clocks and chandeliers, anyone? Check out these magical fairytale-come-true butterfly-and-roses sculptures in bell jars you can find at Chatuchak Plaza. Won’t they add a surreal touch to your home? These animal head wall mounts from Section 1 are definitely a must if you love quirky themes. And we simply couldn’t resist these ship models from this nautical shop at Section 19 – what a wonderful collection they would make! With so much homeware that cost a fraction of the prices you can get back home, it’s easy to find yourself going overboard and buying more items that what you can possibly stuff into your (already overweight) luggage. But guess what, there’s shipping services near Gate 2 – our life-saver! Are you someone who must bring a piece of artwork home from every country you travel to? You need to head right down to Sections 6, 7 and 24 – these areas are the best bets to pick up some paintings, art prints, wood-burnt art and even quirky sculptures for your home! Or flaunt them on your clothes with paintings on apparels and tote bags, found at Section 23. Nothing satisfies you more than good food? How about bringing your eye (or tummy) candy home for display – miniature versions! If you are looking for some fun and magical stuff – we found some pretty woodwork at Section 10 that when picked up the right way, becomes a wooden basket! And if that’s not unique enough for you, how about getting a set of Thai traditional games at Section 26? Or a set of Japanese wooden katana (Section 8)? Wedding bells are around the corner? If you’re in Bangkok, head down to Chatuchak immediately for affordable and amazing wedding supplies! Guess what, you can even find your wedding gown here, Section 5, at a pocket friendly price of 2500 baht (approximately USD 73). And these lace gowns certainly look sweet and classy enough! If you’ve already rented your venue, you may want to consider pretty decor like these (at Sections 9 and 28), where you can deck up your perfect wedding with florals and girly white decorative frames – every bride’s dream! And of course, you can’t let the guests leave empty handed, so get these cute wedding favour boxes (Sections 11 and 28) at a throwaway price of 20 baht! P.S. One of us even bought them for her wedding! As obsessed with spa aromas as we are? With an array of natural massage oil, essential oil, aromatherapy products, scented soap and candles and more available in the market, it’s simply paradise! We advise you to check out Section 7 for these items. You can even find organic bug spray – very useful in tropical Bangkok where there’s mosquitoes galore. It’s suitable for children and does not harm the environment too. Tired from 6 hours of shopping? Stop by a massage parlour in Chatuchak (they are scattered everywhere) for a good hour of soothing foot massage, before you continue Round 2 of shopping! Do you own any pets at home? You can find a lot of accessories for your dogs, cats, rabbits and other pets, from leashes to dry food to toys! At Chatuchak Plaza, we even came across a cat cafe named Cat Garden, where the cats appear to be very well-fed and well-taken care of. Customers are required to wash hands before touching the cats, to ensure that the cats are not exposed to unnecessary germs. You’ll also notice that these little fur balls are friendly and tame, have their own distinct personalities too – there’s one kitten who loves to snuggle and refused to leave his sanctuary under the ladies’ dresses! Editor’s Note: Apart from cafes and accessories, animals themselves (ranging from dogs, cats, rabbits, mice, hamsters of various sizes and breed and even exotic reptiles) are also being sold in Chatuchak market. However, many of them are sadly being kept in cramped and overcrowded cages and appear to be malnourished. Hence, we sincerely appeal to our readers NOT to purchase the animals here, no matter how cute or adorable they appear, as we do not support the sale of animals that are not being treated ethically. If you have any other information regarding the sale of animals in Chatuchak, please kindly let us know. Don’t you just love these cute cactuses and mini pots? You can find them in various stalls in Chatuchak, such as in Sections 5 and 26! 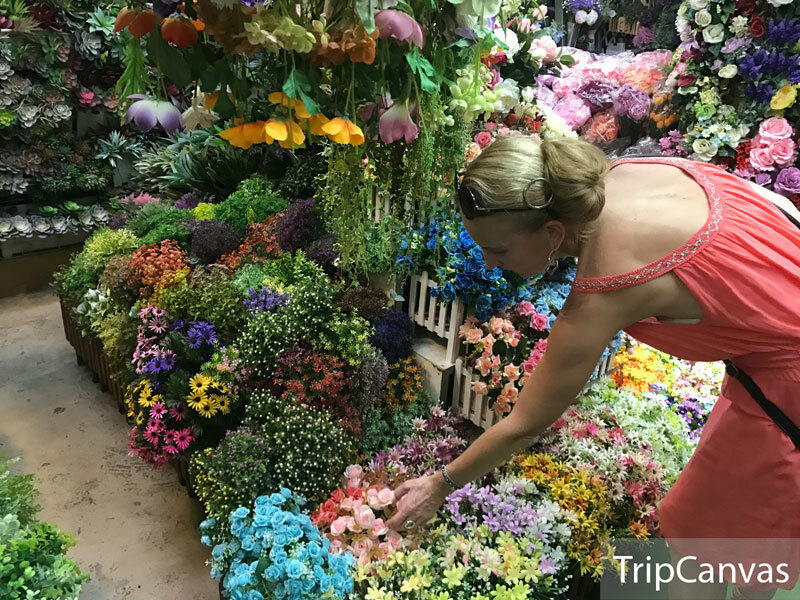 Although you can hardly find fresh flowers in the market, you would be able to find a huge range of faux flowers, which are so pretty, they would make a great addition to your home decor. And it’s easier to bring these home in your luggage, without troublesome queries at the customs you may receive if you purchase fresh plants. Plus, they are more durable too, of course. You’ll be able to spot these faux florals in various sections too, such as Section 26. If you’re blessed with green fingers, you’ll love these cute gardening supplies, plant baskets and pots you can find at Section 4! P.S. Don’t forget to check with your home country’s immigration department if you are allowed to bring any fresh flowers or plants (such as cactuses) back, before you purchase them! We discovered these gorgeous treasures in a shop named Museum (how apt!) in Chatuchak Plaza. A quick chat with the shopkeepers revealed that they had brought these items from collectors in India. We’re not sure how old these antiques are, but surely, if you’ve got an old soul, we’re sure you’d fall in love with them too, as we did. If these are not enough to satisfy your longing for decades-old treasures, drop by Section 1 too, where you can find gramophones and old fans. You can also find traditional musical instruments and violins here too, so if you’re searching for a unique souvenir, you know where to look! There’s also a similar stall in Section 8. And guess what? There’s even a cute ukulele stall at Section 19! For the bookworms, you don’t ever want to leave Section 1. Look at the stacks you have to go through to find your hidden gem! Ladies, these sections are where you can leave your men. Trust us, they would be so delighted with the delicious snacks and street food, they won’t call you every hour to ask if you are done with your shopping. Make a beeline for the Chinese roast pork and fried chicken wings at Section 19, Soi 7/1. We’re not the only ones raving about it! We’ve also heard that the honey roasted pork chop at Section 22 Soi 4 is really tasty too! If you’re feeling especially hungry, go for the popular paella stall at Section 8 – you’ll know it when you see it (and the crowd). When we tasted ours, it was fresh-off-the-(huge)-pan fragrant! 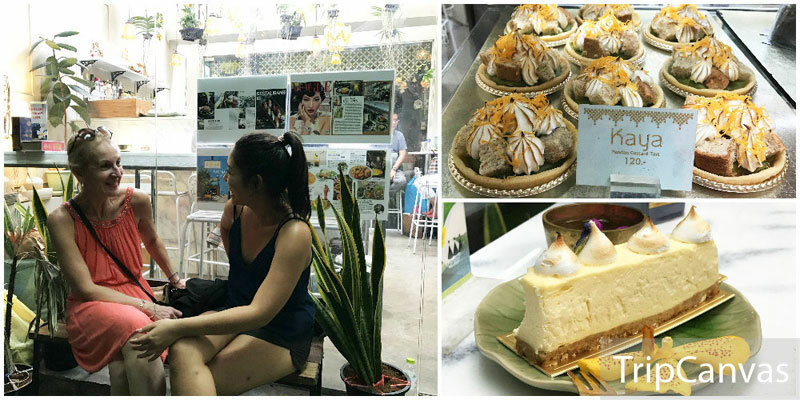 At Section 1, you’ll come across various interesting cafes, such as this greenhouse-themed one we visited. We could not resist getting one of their pretty cakes! Besides the massage parlours, where else can you find a sweeter place to take a shopping break at with the girls? Under the blazing heat at Chatuchak, what can be better than a sweet, frozen choco-banana? There are many stalls selling this, but trust us, the best one is the stall outside Section 5! Our other favourite dessert is the Thai iced tea soft serve stall near Section 28. It was so yummy and refreshing, we came back for more. 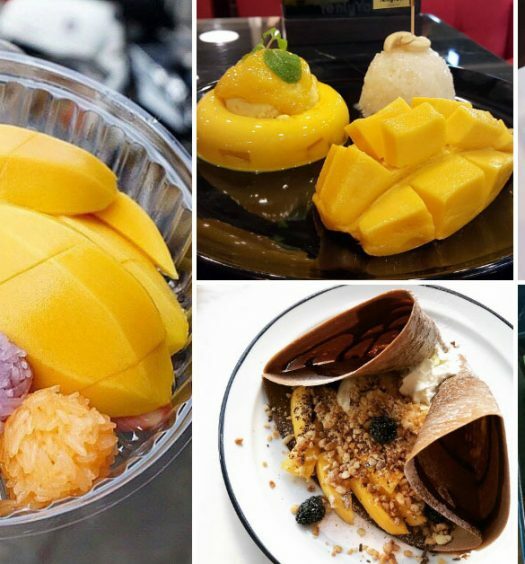 But if you’re looking for a fancier dessert, you can opt for the coconut ice-cream served in a coconut husk with toppings (such as red beans, Thai sticky rice, nuts, etc) sold by a stall outside Section 5. Our verdict – it tasted pretty okay, you can definitely find better coconut ice-cream elsewhere in Bangkok, but it makes a nice picture. If you are looking for Halal food, fret not! There’s a Halal food stall at Section 12 Soi 2, where you can dig into a hearty meal. Don’t forget to end your day with a cool and refreshing mango smoothie. Our advice: request for less sugar, you have a really sweet tooth like the locals! For those of you who are keen to attempt cooking Thai cuisine at home, why not get some Thai spices, available at Sections 7 and 8? Many people have been to Chatuchak and we know that some seasoned Chatuchak shoppers have shared a couple of shortcuts to get to the market. 3. Turn right into Kamphaeng Phet 3 Road. This is where you’ll pass by many roadside stalls along the way, before you finally reach the Chatuchak entrance, Gate 2. 3. Walk along the main road, Kamphaeng Phet Road, until you see Kamphaeng Phet 2 Road on your left. 4. Turn into Kamphaeng Phet 2 Road and walk on until you see Chatuchak Market Gate 1. 1. If you are taking a bus and alighting opposite Phahon Yothin Road, cross the overhead bridge. 2. Walk along Phahon Yothin Road (direction: against the traffic) and enter from Gate 3. Note: Deciding on which specific gates to enter from depends on which sections you would like to go to (details in the breakdown below). Before you start shopping, take note of these things to make your experience more enjoyable! Toilets are also limited and only found in certain areas (i.e.near Gate 2), so go before you start your shopping! – “Tao Lai (Rai) kha” = how much? Smoking is prohibited in the market. Keep hydrated! The market can be quite stuffy, especially when it’s crowded. Keep an eye out for juice stalls scattered around the market! Have you visited Chatuchak before? What do you enjoy most about the market? Do you have any advice for your fellow travellers? We’d love to hear from you!